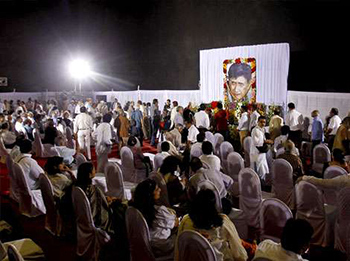 Memorial services are common in all parts of India. When a dear one passes away, it is customary to hold a remembrance day to honor and remember the person. All friends and relatives are invited and everyone shares their feelings of the deceased one with the others. The basic idea is to seek comfort from the other moaners. So many things have to be taken care of when you are planning a memorial day for your dear one. Choose a location and date: The most important decision would be to choose the location and date for the Memorial Day. If you would like all the friends and relatives of the deceased to attend, make sure you decide a date and venue that would be convenient to the others. A public holiday or the weekend would be the best choice. The venue must be able to accommodate all your guests. For the venue, a church, temple, or other religious place would be the most appropriate. You can also go for other options like your home, a park, or any other place that was special to the departed. Invitations for Memorial: You have to send invitations to every friend and relative who would want to attend the service. The best option would be to use free online invitation cards from Westarz.Com. You have to just select the template of your choice and enter the details to get your invitation drafted. The best part of sending online invitations is that you can send them all at once. The RSVP options allows you to keep track of the guests who will be attending the ceremony. This makes everything easier and more economical. Type of Memorial Service: You also have to decide the kind of memorial service that you want to hold for your dear one. 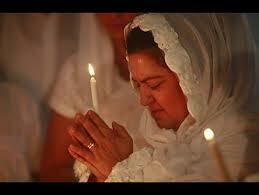 A solemn service with religious readings and celebration of the departed’s life is the most common. You can also include the option of having the guests to speak about his experiences with the deceased in a casual way. Refreshment for the service: You can also plan some refreshment for the guests coming to the ceremony. Simple drinks like coffee or tea with snacks like Samosas, Puffs, sandwiches or cutlets would suffice. Notify the guests well in advance: You have to make sure that you let your relatives and friends know well in advance about the function. Remember that they will need to arrange for coming to the function. Appoint a leader for the memorial service: For the religious, the best option would be to use religious heads for this task. In India, there will be some rituals and ceremonies also conducted on the day. Arrange flowers and photographers: You will also need to arrange flowers and photographers for the function. Fresh flowers must be ordered in advance and bought on the day of the memorial service.